War. War never changes; that is, unless you take your marquee series and catapult it into the year 2065. 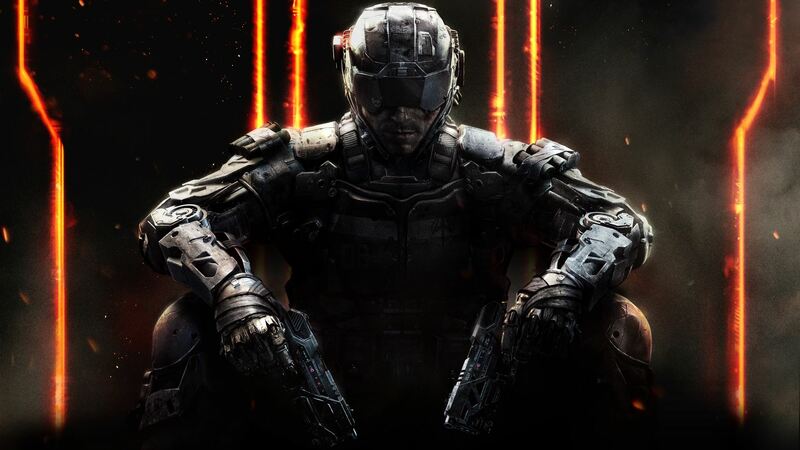 In only a few weeks’ time, Treyarch Studios will venture into a dark and dystopian future with Call of Duty: Black Ops 3, picking up the story strands more than four decades after the calamitous events of Black Ops 2. By this stage, the use of experimental weaponry has grown exponentially, and with the world’s leading nations employing high-tech air defence systems, far-future warfare has fallen onto the broad, hulking shoulders of the foot soldiers — with a twist. To simply label Black Ops 3 as a dark and gritty sequel almost seems like a disservice to the story Treyarch wants to tell; that is, what happens when humanity plays God and dabbles with the very building blocks of life itself? Experimental weaponry has always formed the spine of the Black Ops series. From the deadly Nova-6 chemical weapon to the nefarious Cordis Die unit, the moral conundrums they raise has helped to nurture the Black Ops brand into one of the more intriguing sub-franchises under the Call of Duty umbrella. Now, the third iteration is primed to iterate on that core, clandestine philosophy. Harboring a single-player campaign that features doses of “really screwed up mind-f***ery,” Treyarch is treading on fertile ground. Advanced robotics and bioengineering are hard-pressing questions that humanity faces right now — in 2015. It may blur in society’s peripheral vision, but by extrapolating themes of superintelligence, Black Ops 3 has our attention by postulating on the worst case scenario of augmenting soldiers with bleeding-edge tech. Dystopian though it may be, the studio is really running the gamut when it comes to futuristic military hardware. You name it, they’ve got it. Advanced prosthetics, retina implants for super-sharp vision, and cybernetic implants all designed to create the ultimate man-made killing machine. Replacing flesh and blood with intricate neural interfaces is one thing, but when it leads to psychedelic seizures, it shines a light on the moral implications of retrofitting the human body with alien hardware. Subsequently, Black Ops 3 is making strides to include a cerebral narrative that is as dark as it is ominous, with the aforementioned footage even hinting at dream sequences littered throughout the course of the campaign. Indeed hallucinations and the creative doors they open are the fever dream of any screenwriter, and it’ll be fascinating to see how this is incorporated into the single-player component. But it isn’t just the bleak narrative framework that has caught our attention, as we edge closer and closer to launch, Treyarch has detailed some of the design choices that truly set the Black Ops 3 campaign apart from its peers. Not only has the studio reworked the single-player to feature a 4-player co-operative mode — expanding level design and broadening the general scope in the process — the game will open up every chapter of the story from the get-go. Treating a Call of Duty campaign like an episodic series, Treyarch has offloaded the level unlocking system of old, instead adopting a more open framework that bears semblance to Netflix’s approach to content. How exactly this will impact the story is up for question; for instance, will we miss out story beats if we don’t experience the narrative chronologically? Of course, this design tweak is more about courting the multiplayer crowd over to experience the Black Ops 3 campaign. Now that the studio has implemented that all-important co-op feature, coupled with the liberating level system, players will be able to hop in and partner up with their friends no matter if they’ve completed the story three times over or didn’t make it past the opening credits. It’s a truly novel feature, and its importance can’t be overstated as Treyarch sets about unifying the Call of Duty experience across its three nominal modes: single-player, multiplayer and Zombies. Beyond this, we can also look forward to a new spin on the hyper-kinetic gameplay mechanics introduced in last year’s Advanced Warfare — namely wall-running, strafing and power-sliding — while there’s also the promise of a deeply personal single-player journey. As a matter of fact, Treyarch has promised a campaign mode that is deeply customizable to the point where the studio has implemented a separate progression system, replete with the kind of perks, loadouts, and outfits that are usually associated with Call of Duty’s online segement. Years past, one of the more common complaints levelled at the series — and rightfully so — has been directed to the multiplayer component and its lack of true, tangible innovation. Yes, Advanced Warfare was certainly a step in the right direction following the underwhelming Ghosts, but if anything, Black Ops 3 is really doubling down on the single-player campaign. Its tech is futuristic, but plausible; its campaign episodic, yet compelling. The jury’s still out on whether Treyarch’s return to the helm can really lend the Call of Duty brand the shot in the arm it so needs. But make no mistake, Activision’s juggernaut remains one of the biggest entertainment releases of the year, despite the fact that those once record-breaking sale figures have begun to wane in recent times. Franchise fatigue is so often overblown in the video game industry, and it’s easy to write off Call of Duty‘s status based on the microcosm we tend to build around ourselves. But venture beyond the walls of your Twitter feed and go-to subreddit and you’ll still find that the series pulls in massive crowds at midnight openings, preview events and the like. This isn’t to say Activision’s billion-dollar baby is bulletproof — indeed I personally believe the annualized Call of Duty model as we know it is fast becoming unsustainable — rather, it would be foolish to label every new installment in the franchise as sterile and unimaginative based on a personal experience with a Call of Duty game that was likely created by a different developer. Plus, if there’s one studio under Activision’s new-fangled three-tier development cycle that has set itself apart in the past, it’s Treyarch. The branching narratives; the experimental and timely stories; the Zombies — all elements that have served as cornerstones during the studio’s tenure handling the reins of CoD. They’re all set to return in a few weeks’ time, too, and we’re excited to see how Black Ops 3 pans out both in terms of story, and where it positions Treyarch for the future. It may not feature a single-player campaign across PlayStation 3 and Xbox 360, but Call of Duty: Black Ops 3 will launch across all platforms on November 6.